Buying a home: What is zero EMI until possession? Is it worth it? Quite often, this zero EMI till possession is valid for a fixed period of two or three years and the builder is required to give possession during this period. If it is delayed beyond that, the onus is on the buyer to start paying the EMIs to the bank. It is impossible to imagine that you may have missed out on these two details over the last couple of years – details that changed the way Indian newspapers were structured. First, the main page of the newspaper is actually the fifth now because the first four pages are just advertisements. Second, the moment you pick up the newspaper, you will find a number of pamphlets falling out, most of them apprising you of real estate projects being developed and the financing offers thereon. Obviously, developers are desperate to sell, which is why they are trying so hard. But the question is, how should you approach such schemes/offers? Let us look at one such example which became a major selling point for real estate companies, i.e. ‘zero EMI till possession’. What is this scheme all about and what are the pros and cons of this ‘zero EMI till possession’ scheme? What is the ‘zero EMI till possession’ scheme all about? In this scheme, the buyer of the property is not required to pay EMIs until he/she takes actual possession of the property in question. This, to begin with, is conducive as most projects take around two-three years to finish. The builder makes the payment on behalf of the buyer through a post-dated cheque. The zero EMI scheme is exactly like the ‘subvention scheme’, which some banks offered up until a few years ago before the RBI effectively banned it. However, there is no ban on housing finance companies (HFCs) offering these subvention schemes. Effectively, the loan is given to the buyer, the builder gets the funding, the lender gets a pool of customers directly from the builder, and the buyer gets a payment holiday till possession. A typical zero EMI scheme is structured in a 10:70:10:10 model. At the time of booking, the buyer pays 10% towards registration and VAT and the bank funds 70% in tranches based on the state of completion of the project and ensures that 80% of the funding is done by the completion of the project. Upon completion, the buyer funds 10% and the bank pays the balance 10%. That is how the zero EMI scheme works in practice. Who benefits from the scheme? Actually, the bank, the builder, and the buyer all benefit from the scheme. Here is how. The financier gets a pool of clients directly from the builder, which is very useful as customer acquisition has become a huge cost these days. Apart from cost efficiency in customer acquisition, the bank is also able to deepen its relationship with the customers by offering them a plethora of other products and services. The builder gets funding at a much lower rate of interest. Normally, such subvention loans are given at a rate of 8-9%, which is far lower than the commercial rate of interest that they may have to pay for raising working capital. The buyer is saved from being burdened financially since projects in India typically take two-three years for completion. The buyer does not have to pay EMIs during this period. Also, the financier does the due diligence and the builder also completes the project on time to save on interest costs. While the ‘zero EMI’ scheme has certain advantages for all parties to the transaction, here are five things that buyers opting for the scheme need to be aware of. The bank gives the loan in the name of the buyer so any default by the builder will ultimately impact your credit score. 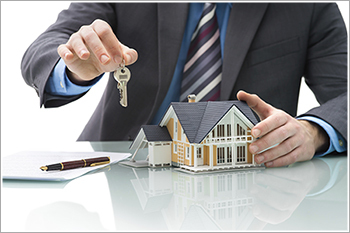 Keep checking your CIBIL account regularly to check for instances of defaulting by the builder. Read the fine print of the agreement with the builder. Your cost of the property will be higher in the zero EMI scheme since the buyer pays the interest for the period. That finance cost gets pushed onto you. Ensure the difference is reasonable. Let everything be on paper and part of the tripartite agreement that you sign. Builders may insist on keeping some terms of the agreement off the record, but you must avoid that arrangement at all costs. Read the fine print of the agreement since builders prescribe a fixed lock-in period. You cannot sell during this period or you have to pay a steep penalty. Quite often, this zero EMI till possession is only valid for a fixed period of two or three years and the builder is required to give possession during this period. If it is delayed beyond that, the onus is on the buyer to pay the bank. Furthermore, there are two other things you need to be most cautious about. Firstly, the loan is still in your name, so your credit rating is at stake. Secondly, go with builders who have a track record of delivering projects on time. Else, you could end up with a huge cost on your shoulders.